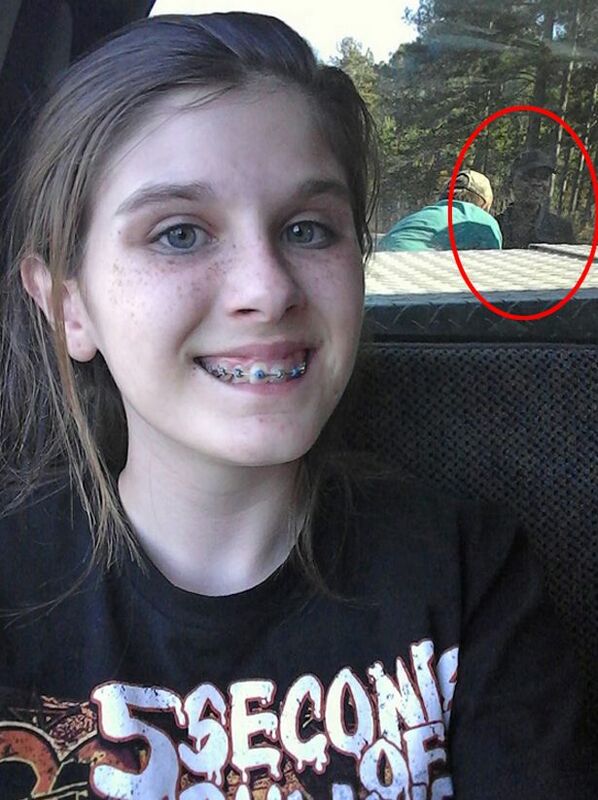 A young teenage girl was "freaked out" when she spotted a mysterious 'ghost man' in her selfie, taken while on a fishing trip with her grandparents. 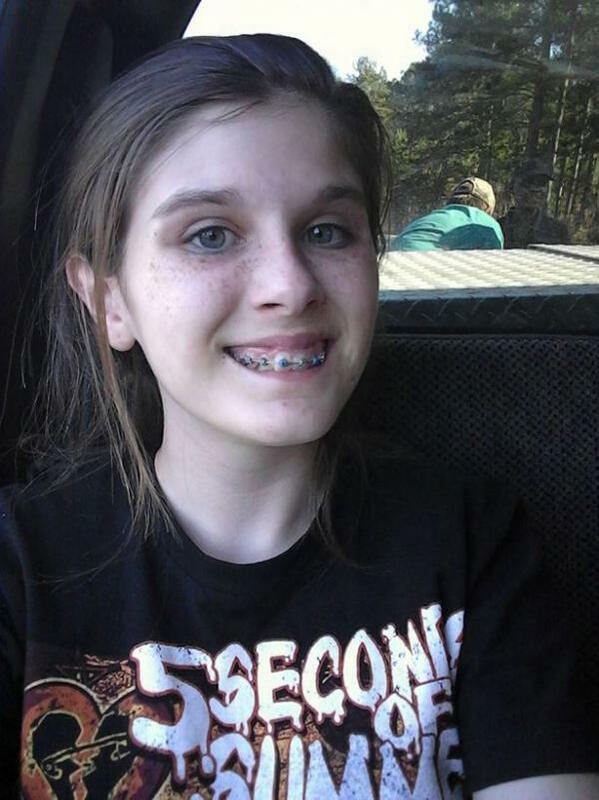 Haley Ogletree, 13, was spending the day with family to celebrate her brother's birthday. 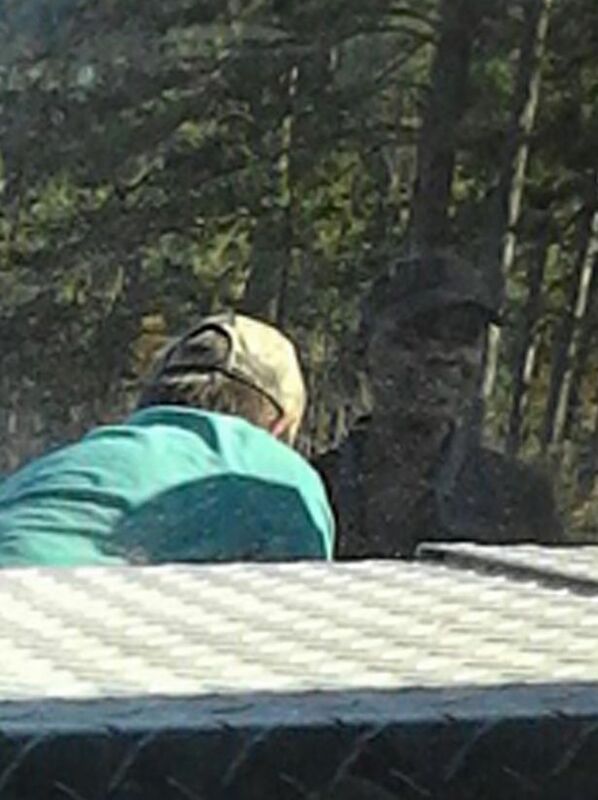 If you look closely, standing on the right of Haley's brother appears to be the shadowy figure of a man , wearing a cap and a collared shirt, and smiling for the camera. In fact, Haley and her grandparents didn't see anyone else fishing near them in the area all day. On Facebook, Haley's mother, Jessica Ogletree wrote: "FB friends check this out! "Notice my son Kolton in the background and then notice the gentleman standing to his right. "Y'all, this gentleman was NOT with them today and there was no one else at these back ponds where they were fishing. "The only people there today were Haley, Kolton, and their grandparents Dennis and Vera Baldree. "Haley was going back through her pictures and saw this, and needless to say freaked out and called me.